Online reputation management (ORM for short)...what does it mean? what role does it play for your business success online? This and other related questions will be answered below. Online reputation management is not only about tracking your brand/business/service/or product negative mentions, it's also about creating content around your name, brand, product, service and business that people will find and easily help with their decisions making process. 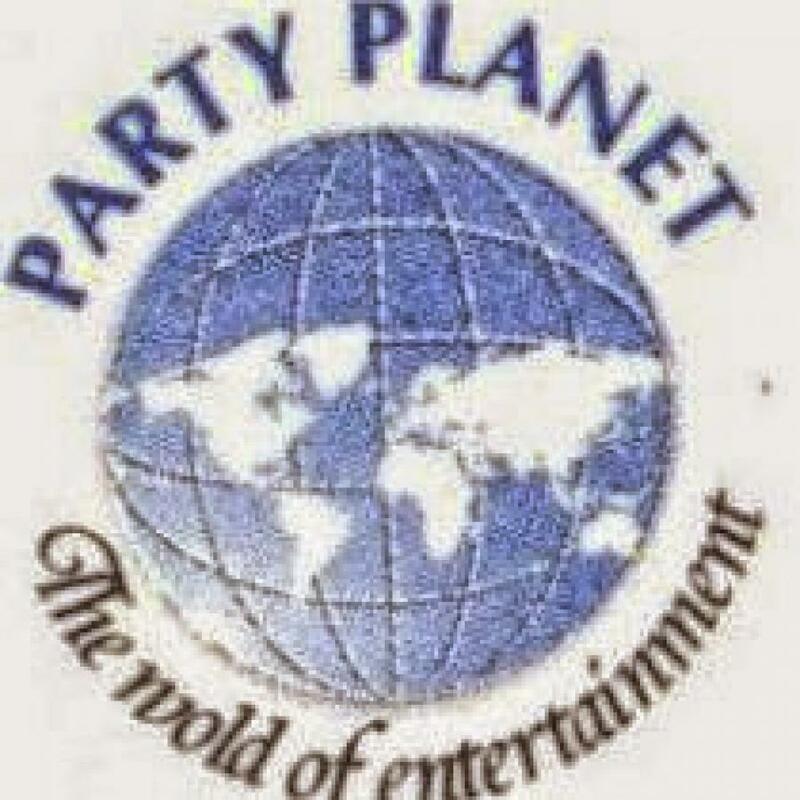 As wikipedia will define: Reputation management (sometimes referred to as rep management, online reputation management or ORM) is the practice of attempting to shape public perception of a person or organization by influencing information about that entity, primarily online. Now out of the definition above, what strikes out is "shape public perception of a person or organization" which means you can actually influence how people perceive your business. There are several ways to raise the bar on your online reputation score, most advisable is to do so via an ORM firm. Many ORM firms will partner with top news and media outlets to get their articles covered by major sites. This is one of the biggest benefits going with a top online reputation management firm, simply because they have connections that many of us simply don't have. At the same time, these connections will cost a decent amount of money. When it comes to content creation, this is something that can be written by yourself, outsourced or through an ORM service. When writing content, it's always important to provide value, make your brand message clear and also use proper headlines, tags and formatting to improve your chances to rank in the search results. Content promotions across big name sites and news portals like Forbes, HuffingtonPost, Examiner, CNN, and press release sites etc can be used to create such contents aim to help your online reputation. At the other hand most reputation management starts and ends in the search results, as that is where the most volume and first impressions are made. Getting to the top of the search results isn't fast, cheap or easy. For anyone who isn't already well trained in SEO, this is where ORM firms will make a good amount of their money as well. When trying to rank at the top of the search results for your name or brand, several factors will come into play... such as, who is currently outranking your content, the competitiveness of your keywords and also if you are trying to push down any negative content in the process. When you hear a saying that goes "a woman can either make you or break you" is quite similar in this case scenario with Online reputation. A positive online reputation can actually boost your business online sales and traffic as well, it's like a one store most people in the neighbourhood always buys from, now that store owner is building a reputation for their business. And when a bad rumor springs out, such reputation will kick in to question the authenticity of these claims. A strong online reputation can actually attract new customers and defend your brand at the same time, most times slizzy competitors can work on sabotaging your online reputation with fabricated reviews that are damaging to your business online. The role of an Online Reputation Manager (ORM) is equivalent to a Public Relation Officer (PRO). 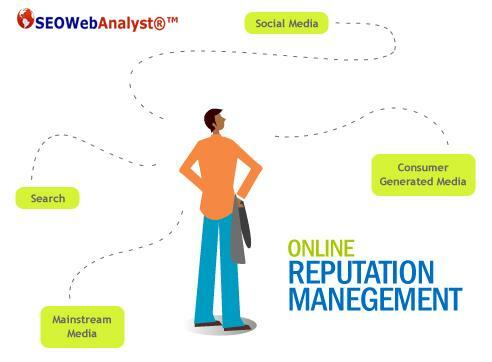 This is why you should always consider having an online reputation management services as soon as you start growing your business online, it is paramount to have your team of online reputation managers as their work compliments in the four areas highlighted in the image below. Why You Need Reputation Management Services. When you visit a website and decide to do a bit of digging online, let's say via social media like Facebook and find out that most of it's review are negative with no reply or soft reply from the brand/business will you be convinced to trade with them? or if your employee should Google your name and finds your name attached to criminal activities what impression will that give at your first day at the office?. So seriously you need to think online nowadays, based on the fact that most activities are now shifiting online, employment, housing, car rental, insurance, health, even education are now accessed online. Hence the need for you to consider Online credibiilty for yourselves, if you run a business you should consider tracking your online reputation via review sites, social media sites and even search engines. You have online tools that can help you monitor and track mentions of your businesses online, tools like trakur, socialmonitor, sysomos, crimson hexagon, brand24 and SEO Web Analyst®™ (web radar) can assist you flush negative post about your business online, so you can quickly respond to them. You can actually start monitoring your mentions for free through services like Google Alerts. There are ways to actually build credibility online and most starts with a great review of your business on social media sites and review sites, then you optimize them for visibility on search engines. So apart from the tools to help you track negative reviews or comments online you might also want to learn to create a better impression, and this must start with your overall business model. 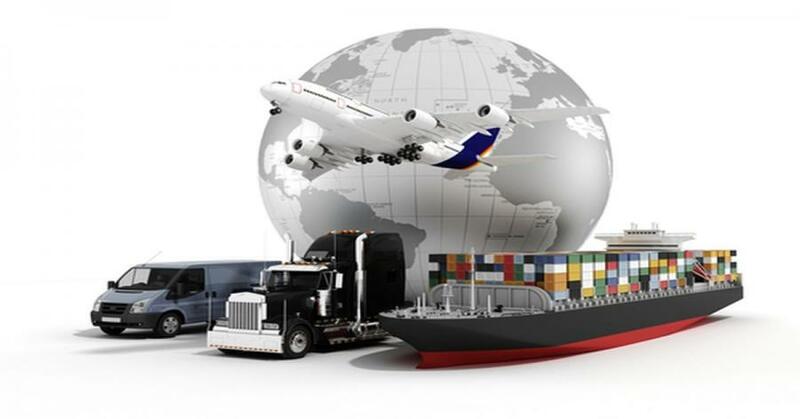 Starting from your customer support to your delivery, the most tangible things that may not matter to you are what matters alot to your customers and since each customer are always treated different you need to address this segmentaion. So if you notice your support is using the wrong tone or not picking up then fix it, if you know your product has reduced in quality and issues are raised by consumers, then fix it. This are little things you might ignore but can spread as wild fire online if not handled dilligently. Always have your customers provide you with reviews on your company's social handles, this tatic helps you to know what they really think of your business, and also showcase your strenght and weaknesses. 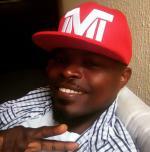 Let's use a case study of Arik Airlines online reputation management. Now Arik is quite a name in the aviation Industry in the UK, Nigeria and other few countries, but it seems they have a very common issue that has become a stigma to the air line. I will want you to take a few of the Facebook pages snap shot to deduce what complains keeps coming up with this company. 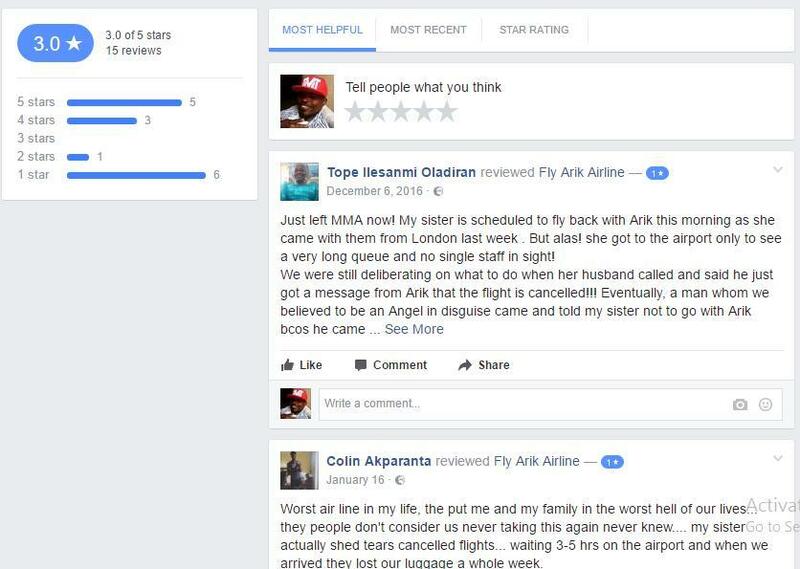 On their Facebook page we can see that they have a very low review with lot's of 1 star ratings, notice that the first two most helpful post on Arik Airlines is actually on bad reviews and both are on flight cancellation (notice no one from the company gave a response to this issues). Next, let's take a look at their page post by visitors. On their visitors post you will find negative remarks and post from their customers, stating issues that the Airline seems to not notice or simply ignore to give reply to. This makes you wonder why they have a social presence in the first place if not to provide online support via social meida. Finally let's take a peek on their post wall, you will notice that the image below also shows the same issues reflected on the first image above "Flight Cancelation" and "NO REFUND", worst the airline is not providing any response to calm their customers online. 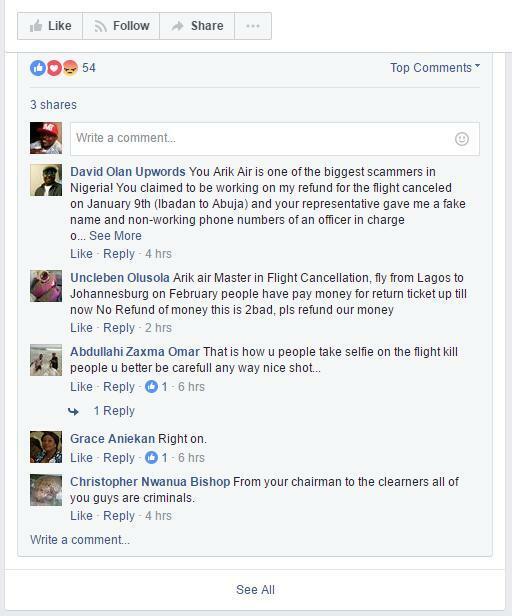 All these images are taken from different Facebook pages of the Airline operations in UK and Nigeria, this prove that the Airline itself may have a staggering bad reputation for Flight Cancellation...with a poor refund policy too. 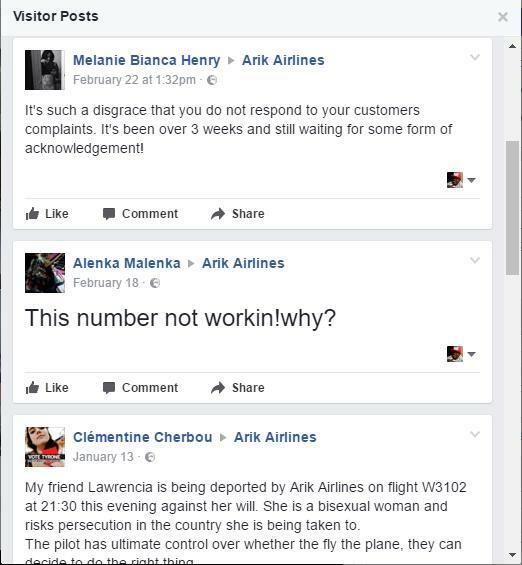 What are your suggestions on how Arik Airlines should handle their poor online reputation on Facebook page? please drop your thoughts in the comment box below.